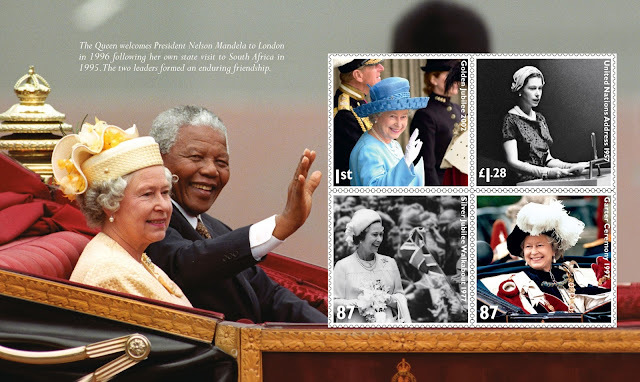 We are now able to show preliminary images of the panes in the Diamond Jubilee Prestige Stamp Book. It is clear from the perforations that these are studio mock-ups and we are not sure in which order they will appear. 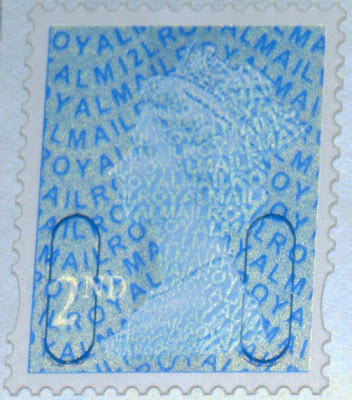 The Machin stamp will almost certainly have a new security code in the iridescent overprint. 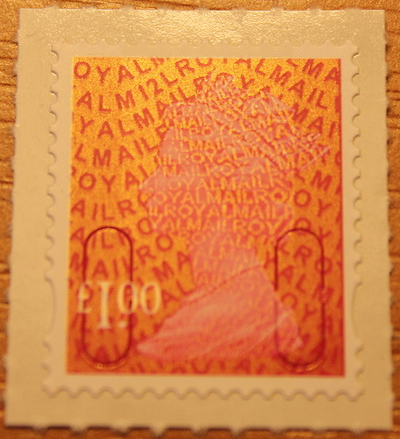 As far as we know, the Wilding stamp will not have any security overprint. We don't know whether and of the stamps are gummed or self-adhesive. As you will be able to work out, the total face value is £11.84. We understand that the selling price will be £12.77. For various reasons I couldn't get to a Post and Go office to get the Pigs Faststamps until yesterday, and what a laboured exercise it turned out to be! Now I appreciate that collectors and dealers test these machines to their limits, but problems with the mechanical aspects are frustrating and cause delays for all PO customers with a facility which ought to make life easier. Post and Go machines are, in some ways, the most flexible way of buying stamps because you can pay in cash, or by debit or even credit card. However, you cannot buy more than 99 Faststamps in a session. 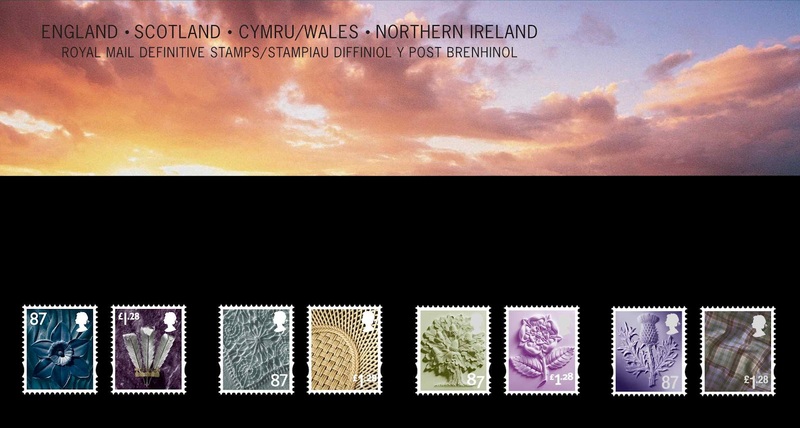 Indeed if you want only Worldwide 10g stamps you cannot buy 20 at a session, through the 'post an item' menu. I wanted more than 20 sets of 36 stamps: 6 values x 6 designs. The new 'Collectors Set' menu option makes this easier than before, but with a maximum of 99, you can only buy 16 sets (= 96 stamps). I had armed myself with a pocket full of £20 notes and duly selected the first £86.40 worth of pigs. The machine refused to accept £20 notes - or £10 notes - or £5 notes. Fortunately the branch assistant was willing to go and change my notes into £1 coins. So I had 16 sets with the Saddleback as the 1st class stamp. 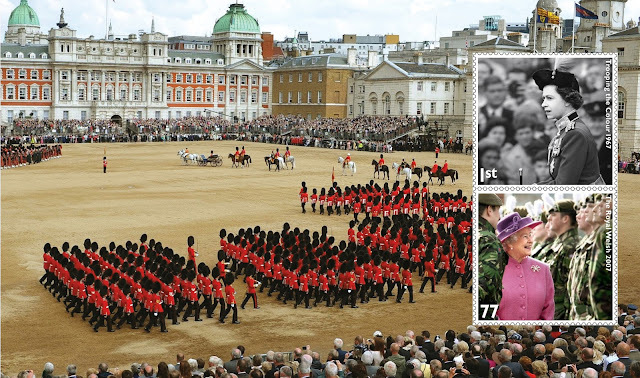 Next, buy a single 1st class Saddleback. 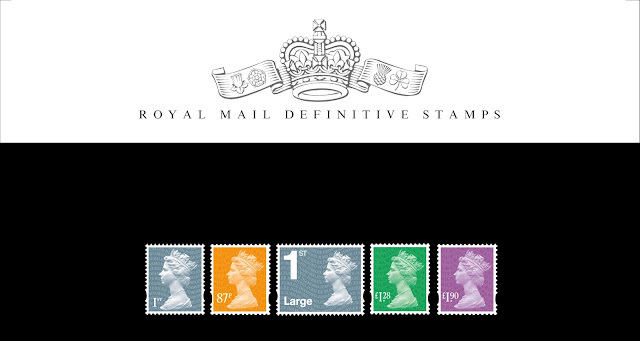 Then buy 16 sets with the Berkshire as the 1st class stamp. Then a single 1st Berkshire, and 16 sets with the Old Spot as the 1st class, and so on. Inevitably with so many £1 coins going into the machine, the coin-bucket filled up and more coins were not accepted. Cancel the transaction, with a sound like a fruit-machine paying a jackpot, as over £40 came tumbling back out. Pay by card. This is eminently sensible if you want up to 200 stamps in two transactions. But card companies will not accept that anybody will repeatedly use a card to make similar transactions through a vending machine all morning! Your experience would vary but you may find your card blocked after 4, 5, 10 transactions. I'd had this problem previously, which is why I had bought cash. But I reverted to cards - a selection of debit and credit cards. Problems previously associated with bad card-readers didn't occur this time, and all my cards were accepted - much relief all round. So with a mixture of cash and cards, and using both machines, I scuttled away after over 2 hours with all the sets I wanted and a few spares for postage. Thanks to the patient staff at Castle Mall, Norwich, for their assistance with this exercise! See you in September for the Cattle. More 2012 printings of Machin counter sheets - now the £1 ruby! Thanks to 'CityofLondonBoy' for pointing this one out to me. 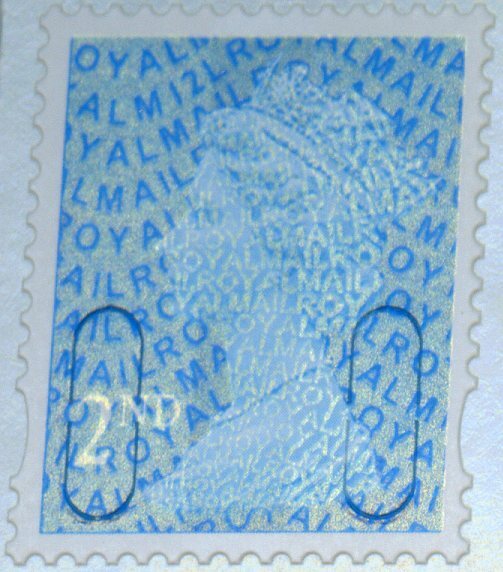 DLR must have printed zillions of £1 ruby stamps in 2008/09 for the 2009 Security launch as they managed to last through to the 30/08/2011 printing which had M11L. Then there was a January 2012 printing which also had the M11L code on. But now there is now a M12L printing. This is from the 15/03/12 printing - as a friend says, the ink can barely be dry on these, and they obviously go into the Swindon stores and then straight out again! Now shall we be gracious and say that there wasn't enough time to print zillions during the 2011 reprint? Some cynics will say that a small 2011 print would mean another in 2012 that collectors would want, but the January printing should have been M12L, so now we have another! More money spent on stamps that wouldn't be used. Hmm. So how widespread are these £1 stamps? Let us know where you found them. UPDATE: We know that the new gold booklets of 12 with M12L (see below) are quite widespread with three (at least) packing dates on what I am told was 'a short run'. Leave us a comment. Well here's a turn up for the booklets! Well spotted to Ian R who noticed this for sale on eBay. It's the 1st class gold from booklets with M12L code. According to the seller the wrapper has a packing date of 22/12/2011. It also exists from the same batch with a short phosphor band at the foot. We don't have any stock yet. My PO received a supply of Jubilee 12 x 1st this morning so the chances of getting any here seem very remote. 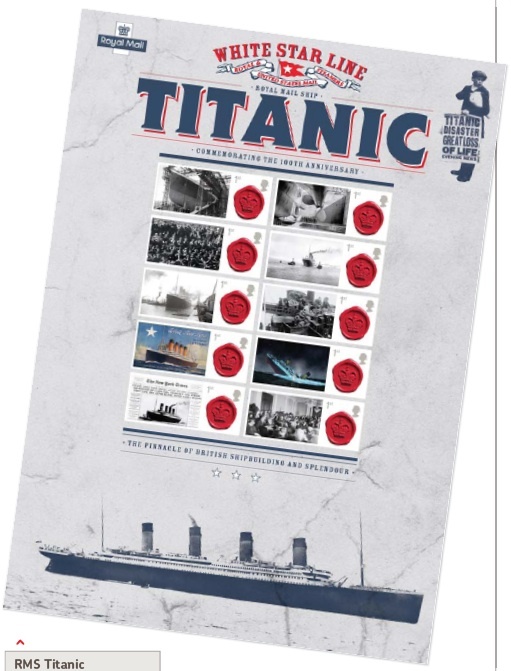 With so much in the media this week I had overlooked posting the image of Royal Mail's Titanic Centenary Commemorative sheet. 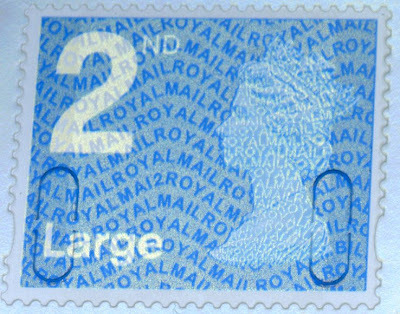 This was placed on sale on 10 April at a price of £13.95 (face value of stamps £4.60). 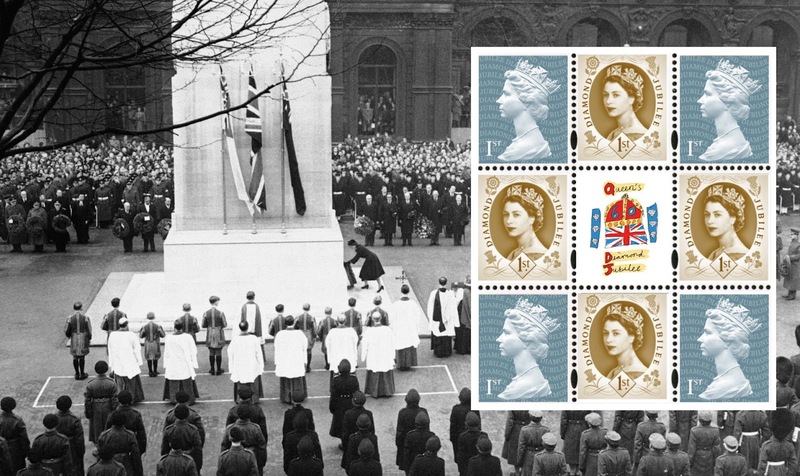 Royal Mail have not yet announced the price of the Commemorative Sheets to be issued after the postage rate increase, but it would not be surprising if the price was to increase beyond £16, so order now, from Royal Mail's website (see below). We will not be stocking this item. 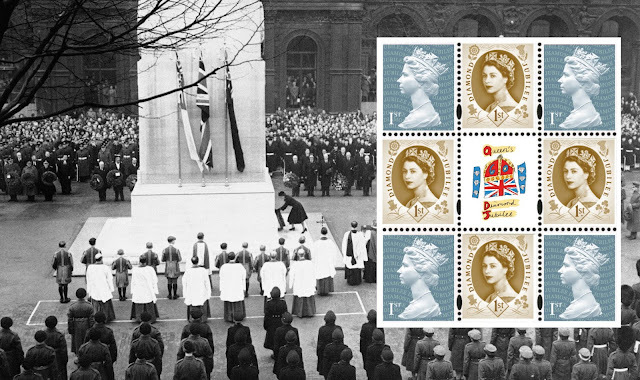 The same pricing policy will probably apply to all the Commemorative Sheets - choose from the 15 available here. An interesting write-up on the Royal Mail Ship Titanic is on the blog of the British Postal Museum and Archive. 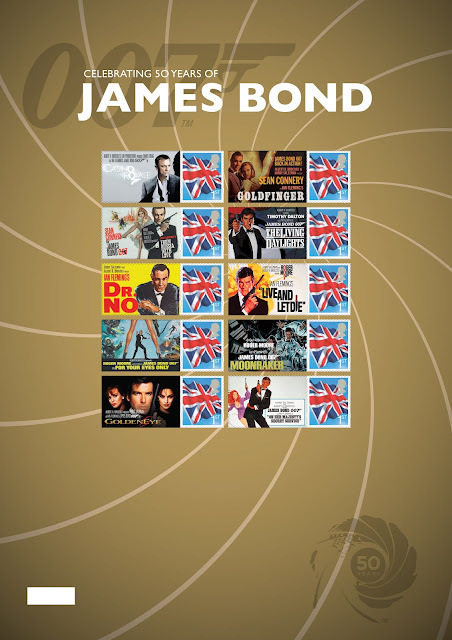 Royal Mail have released this image of the James Bond Commemorative Sheet to be sold from 1 May 2012. Issued on 1 May to celebrate 50 years of James Bond, the Commemorative Sheet contains the ‘Union Flag’ stamps and adjoining labels comprising images of James Bond posters as chosen by over 30,000 fans worldwide. 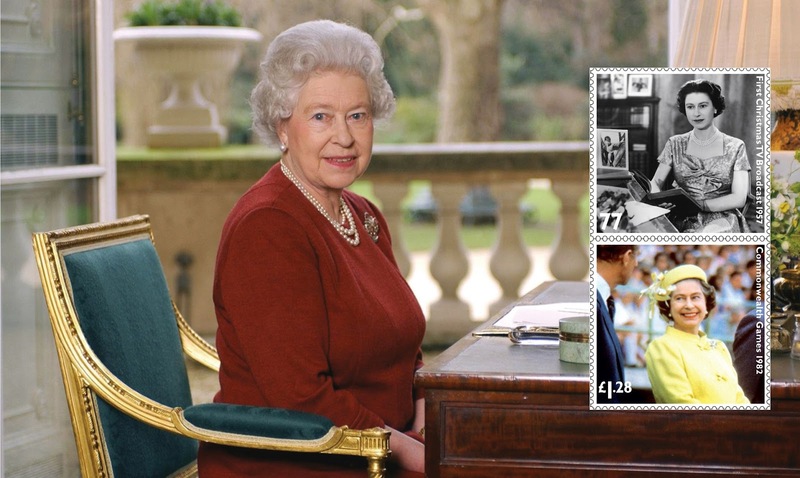 The films are Casino Royale, Goldfinger, From Russia with Love, The Living Daylights, Dr No, Live and Let Die, For your Eyes Only, Moonraker, GoldenEye, On Her Majesty’s Secret Service. The pack not only includes fascinating information about the character in each film, including the story line and those involved in their production, but also features iconic images of the different actors who have played James Bond. Details of selected Bond Girls and some of his adversaries are also included. Designed by True North, the sheet is self-adhesive litho-printed by Cartor of France, A4, with stamps 20 x 24mm. Thanks to Machaggis52 on Stampboards for pointing out that the 'poster' images have been cropped and text rearranged from what we voted on. So these are not movie posters at all simply adaptations from the originals. Royal Mail have supplied publicity photos for all the new stamps to be issued on 25 April in connection with new postage rates. Unfortunately these are only design studio mock-ups so the Machins show completely wrong security overlays and the airmail versions have no security slits. Note that the 6 February self-adhesive (small) Jubilee definitive appears in this pack. 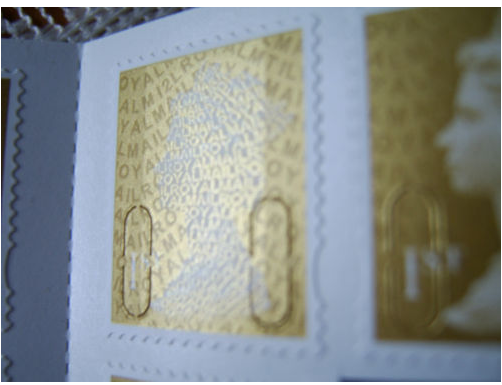 Many readers will have seen today's announcement in the national and international media about Royal Mail's stamp issue for each Olympic Gold Medal winner, so I'm not going into great detail on that today. Suffice to say that with miniature sheets of 6 x 1st class (60p) stamps costing £3.60, produced in A4 sheets of 4 miniature sheets (£14.40) for each winner (say 25) the cost is £360 - and that's without considering collecting sheets from the 6 different regional printers! And for clarification any competitor who wins more than one event, either as an individual or as part of a team will be honoured appropriately. There are other changes to the programme resulting from this block-buster. Royal Mail have decided to postpone the Dinosaurs issue scheduled for October to 2013 and the Space Science stamp set will now be issued on 16 October 2012. As mentioned before the 2nd Class value will be reintroduced in selected stamp issues, starting with the Charles Dickens set and the Dickens Miniature Sheet, not in the original programme but first announced as a range of 1st and Overseas rate stamps, will now feature 4 x 1st Class stamps. These are in sheets of 25. In the right margin the bar-code is against row1, the short name against row 2, and dot-matrix date and sheet number against rows 3 and 4. ... which suggests that some printing was probably also done on Thursday 9th February. Thank you to John for his witty 'away' message, and thanks for the concern and good wishes in my briefer than expected absence. Saturday's Spring Fair of the Norfolk & Norwich Philatelic Society had, as the title suggests, its good points and bad points. Good point 1 was that one of my friends had some 2nd class Machin from kiloware in which we found a copy of the 'scarce-but-increasingly-available' self-adhesive 2010 coil (the 'Sunday Times' stamp). So now I have one for my collection. Good point 2 was that the weather was good and dry and the walk down to the Trafford Arms for lunch was well worthwhile. Good point 3 was that I found quite a few postcards to use for my maximum card collection. The afternoon took a turn for the worse around 3.45 when one of the members asked if I would help push-start a visitor's car. That took two attempts and when the car started I failed to stop, crashed to the ground and can recall very little else until I was at the hospital A&E department suffering from concussion, severe bruising on my writing hand, and liberally elastoplastered! Fortunately a couple of days' rest seem to have speeded recovery, the bruising has gone down and so I am back online. Predictably there is a slight back-up on orders, which I shall attempt to despatch before the Easter break. There is more news on GB stamps, but that will have to wait until tomorrow.